Happy Thursday! We’ve got just a few more days left in our 31 Days of Halloween journey and I do hope you’ve enjoyed every step of the way! 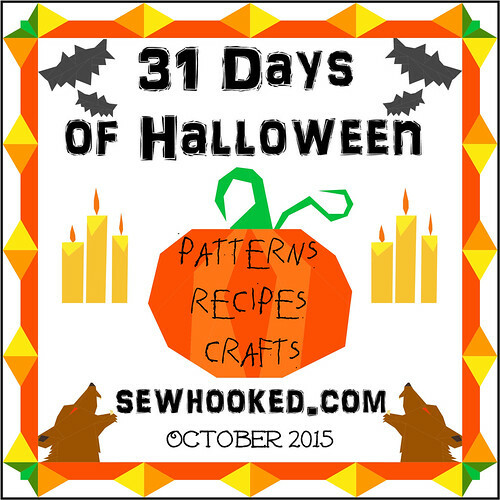 Today, we’re revisiting more fun patterns from the massive collection I’ve created over the years and turning their original Harry Potter-ish intention towards things Halloween! 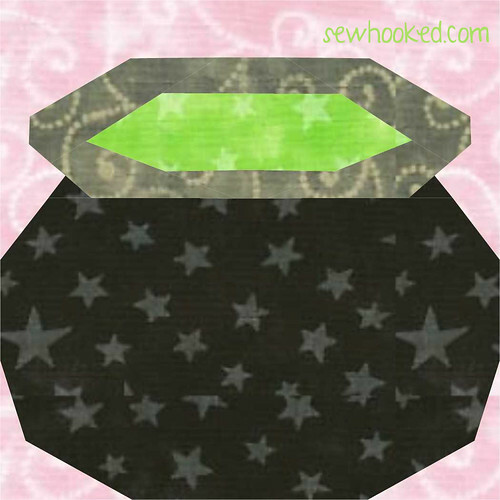 First, we have the humble cauldron, a staple in any witch’s pantry! Get the free, 5″ paper pieced pattern here. Want to Enlarge or Reduce this pattern? Find out how here! 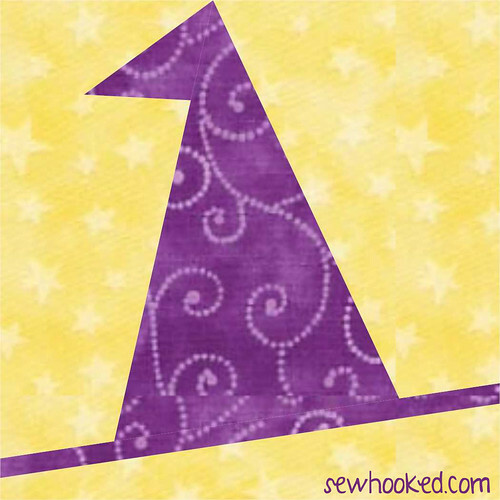 And, of course, a witch’s wardrobe would not be complete without her hat! I’ve taken these two simple patterns, added in Moody’s Magical Eye and my Paper Pieced Bat Pattern, both featured earlier in the 31 Days, and created this fun quilt layout using EQ7! 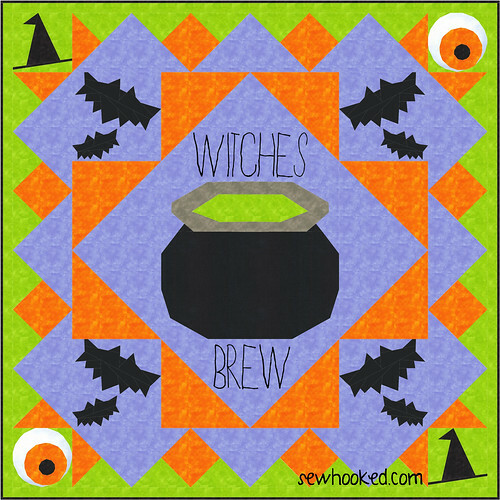 This entry was posted in Free Patterns, halloween, harry potter and tagged 31 Days of Halloween, bat, bats, cauldron, eye, eyeball, free pattern, free patterns, halloween, harry potter, witch hat, witches hat, witches' brew on October 29, 2015 by Jennifer Ofenstein. Not able to open your halloween site to get ideas. I don’t have a Halloween site per se, but this will bring up every post where I mentioned Halloween. I do hope that helps.